This Norwegian Apple Cake recipe has been the in family cookbook for many years, but I’d never tried it. 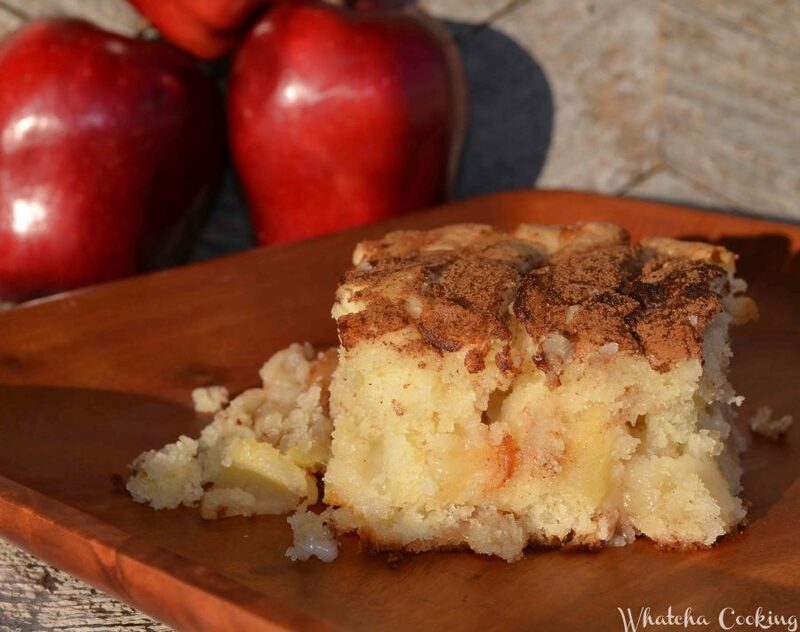 We were down visiting Grandma’s (Mom) and she made this delicious, moist, apple goodness cake. I asked where she got the recipe and low and behold, I have the recipe too! I guess sometimes we get comfortable with the recipes that we know we like. I thought I would share this recipe, for others to enjoy too. Plus it has real apples in it, so it has to be healthy right? 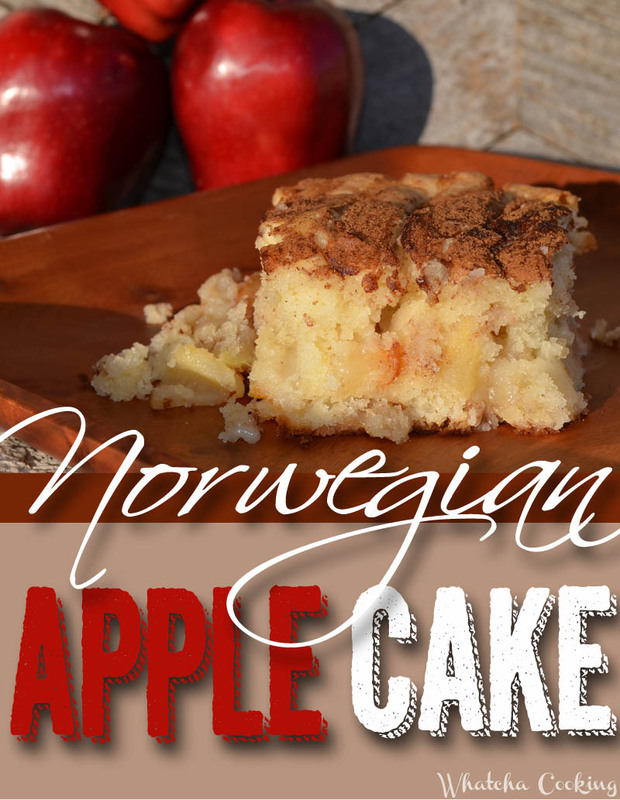 It makes a wonderful summer/fall treat. My hubby thinks it makes a great breakfast option, coming from the guy who eats lunch/dinner foods for breakfast. Preheat the oven to 350 deg. Cream butter and sugar really well. Add eggs, milk baking powder, salt and flour. The batter will be fairly thick. Pour and spread into a lightly greased 9×13 inch cake pan. Peel the apples, cut apples in half (stem thru end), remove the core. 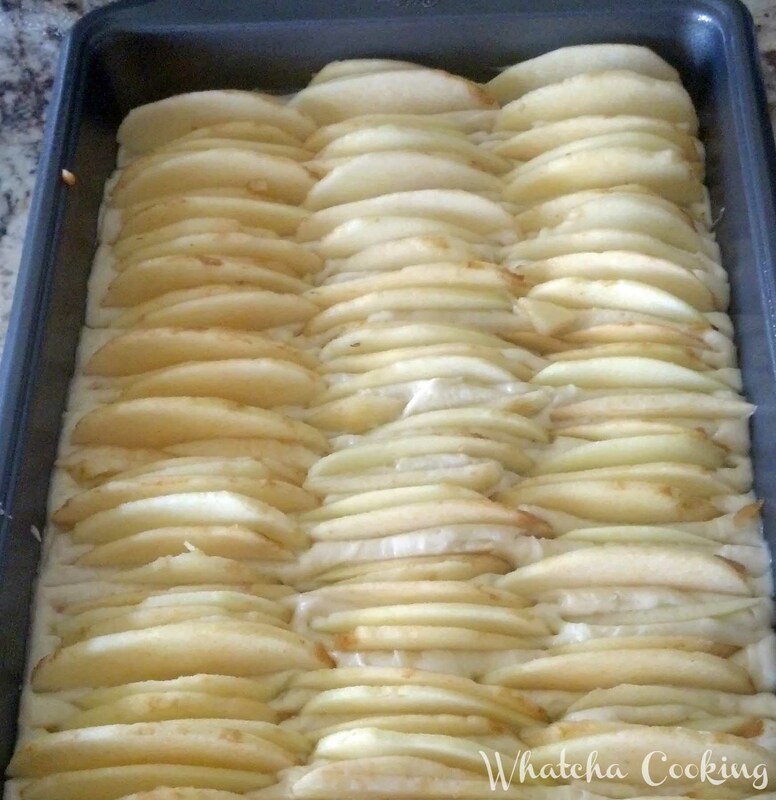 Slice the apples thin, about 1/16″ to 1/8″ thickness. 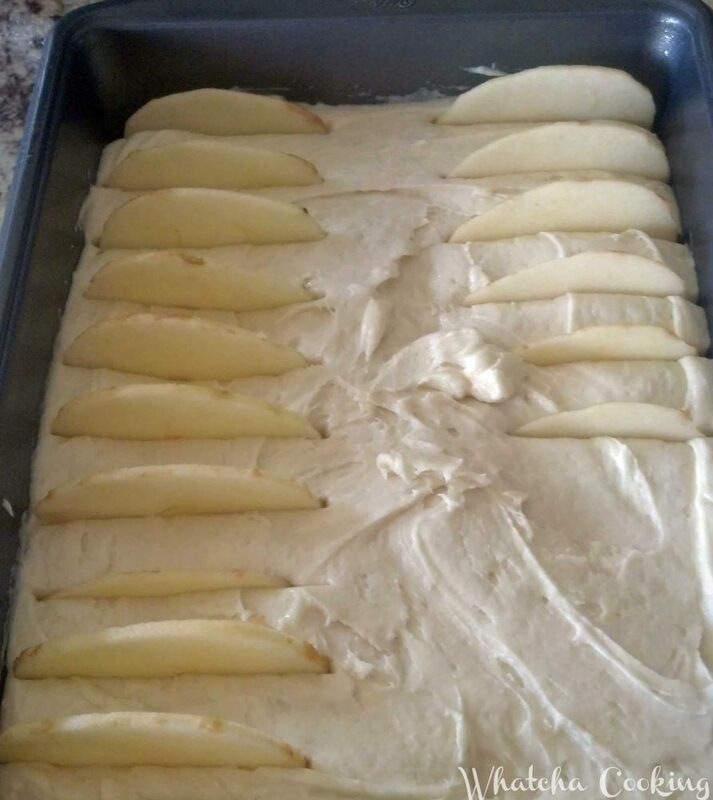 Place the apples slices in the batter standing up. I like to start the apple slices about 1″ apart, then fill in with more apple slices until I’m out. 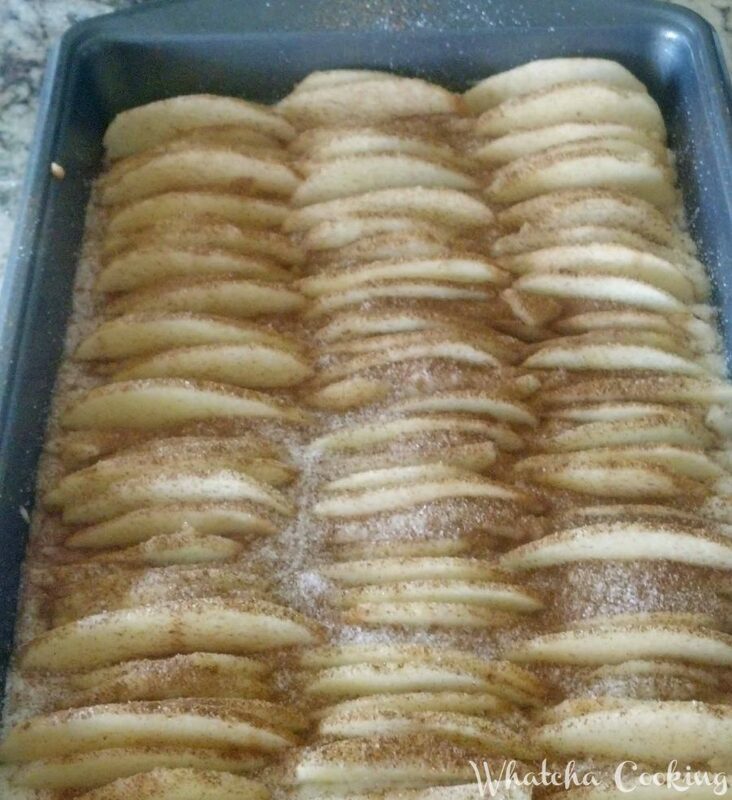 3 large apples in slices fills the pan. Bake the cake at 350 degrees for 45-50 minutes, or until the middle doesn’t look doughy. And enjoy the apple-y goodness.